Introducing our Candy, Cake & Cocktail - DIY Printable Invitation. Your friends and family will love the fun "eye candy" this invitation will create to set the tone for your event. 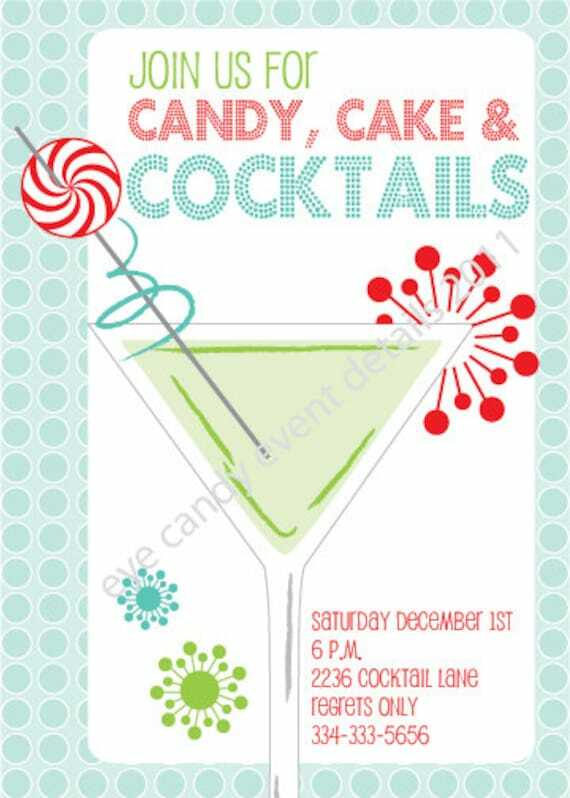 This invite is sized to 5"x7", 2-up on 8.5"x11, and uses a multi-color color scheme of red, aqua & green. Look for A7 envelopes for mailing. I can make this collection into the color scheme you need for a small additional fee.